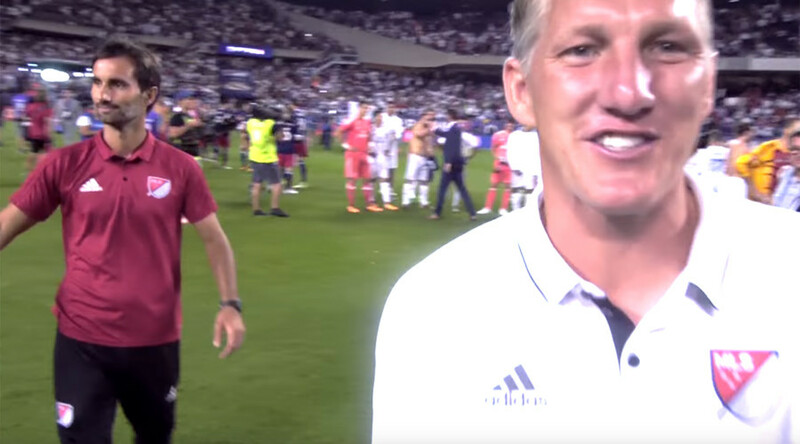 New footage has been released by the MLS (Major League Soccer) that gives football fans an entirely different view of the match – from a body camera worn by the referee. 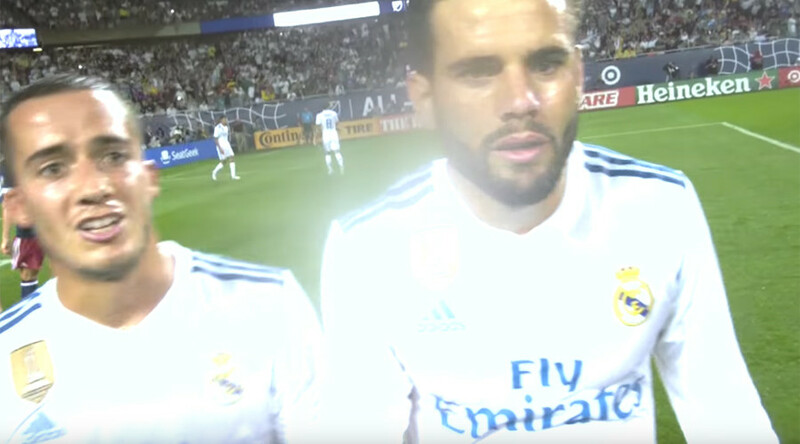 The MLS trialed ‘ref cam,’ which gives supporters an intimate and real-time view of the action on the pitch, in the pre-season match between Real Madrid and an MLS All-Star team on August 3. 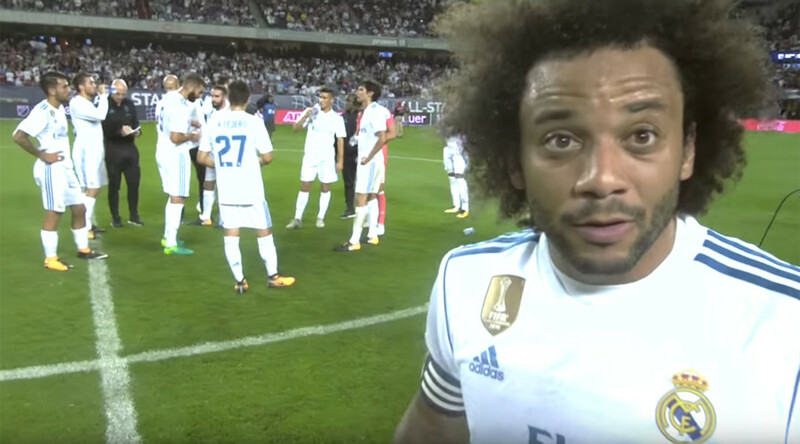 Referee Allen Chapman wore the body camera during the entirety of the game at Soldier Field, Chicago, which Real Madrid eventually won 4-2 on penalties after a 1-1 draw in normal time. The three minute clip released on the MLS YouTube channel shows not only the goals and best moments, but also major incidents of the game in first person perspective. When Chapman turns down a penalty appeal from Real, midfielder Toni Kroos and winger Lucas Vazquez are seen remonstrating with the official. Those in the US watching the match live on Fox were even given the choice to watch the game direct from the ref cam itself. The angle from the body camera gives a unique view of play on the field, highlighted by footage of Real’s opener through Borja Mayoral. The All Stars side managed to grab a late equalizer through Dom Dwyer to set up a penalty shootout, which threw up another interesting insight into the game. 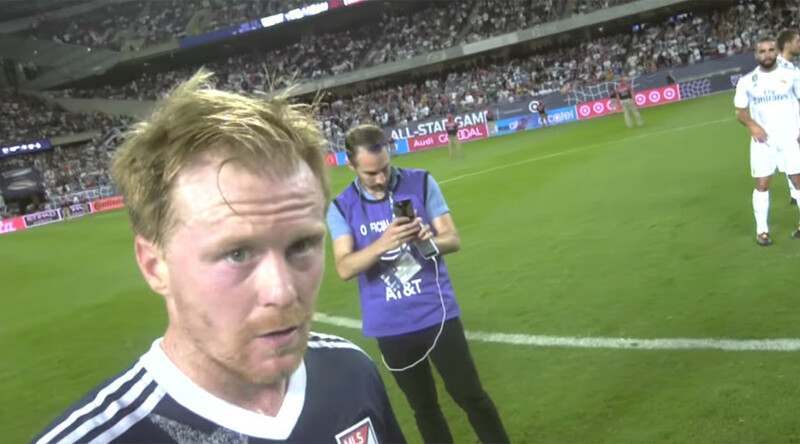 Chapman can be seen discussing and tossing a coin with Marcelo and Dax McCarty for the chance to go first in the spot kick shootout, with McCarty winning and opting to go first. The ref cam is used as part of regular rugby union broadcasts in the UK and was also used when the MLS All Star team played Roma in 2013. Then, the head camera was criticized for being too shaky. Brazilian former FIFA World Player of the Year Kaka, German World Cup winner Bastian Schweinsteiger, and former Premier League goalkeeper Tim Howard all turned out for the All Stars, each being substituted before the end of the game.